This course features timely and ongoing updates on cabling-related topics, both Belden-specific and Industry-general. 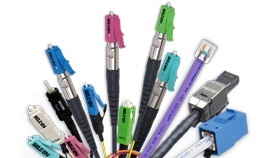 Our goal is to add and modify this course to reflect the current changes in both the cabling industry and Belden’s product offerings. For further information on course content please see below. Sign up two technicians to get certified on copper and fiber installations with our four hour hands-on course.